The latest killer deal comes from Best Buy on the heels of $300 discounts offered through Verizon, upping the ante to a whopping $450 you can shave off the list prices of the Pixel 3 and 3 XL with "qualified" activations. That means you'll need to use your hot new "pure Google" handset on the nation's largest wireless network after committing to a two-year device payment plan. 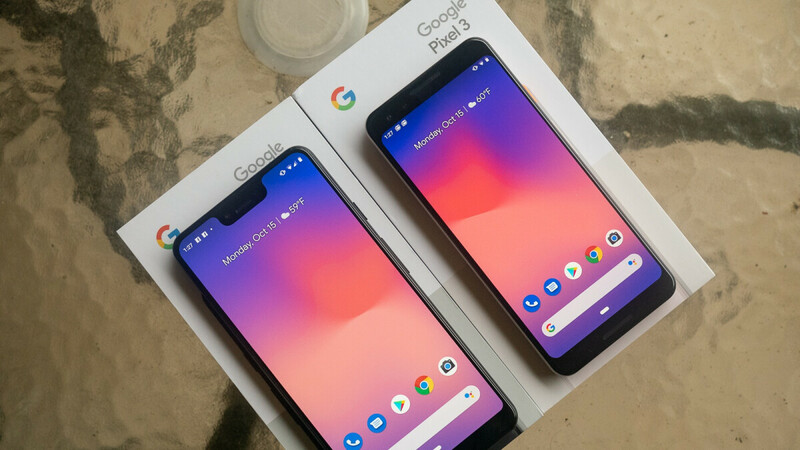 You'll save $150 "instantly", as well as 300 extra bucks in the form of bill credits, with the 5.5-inch Pixel 3 starting at $14.58 instead of $33.34 a month once both markdowns are taken into consideration. That amounts to a grand total of only $350 for a 64GB device with an impressive single rear-facing camera, dual front-facing shooters, powerful Snapdragon 845 processor, IP68 water and dust-resistant body, and respectable battery life delivered by a seemingly tiny 2,915 mAh cell. That's exactly how much Verizon subscribers are being charged for a jumbo-sized Pixel 3 XL with a sharper display and a wide notch in tow, at least for a 64 gig configuration. The divisive 6.3-incher is available at $550 all in all ($22.91 a month) in a 128GB variant, representing the same massive $450 price reduction as the other three models. Whichever one you might be thinking of purchasing, the color options are identical, including "Just Black", "Clearly White", and "Not Pink."